The DV Studio Rig Focus Kit from Chrosziel contains the C-206-60S Follow Focus with Vari-Lock plus and a C-206-13 Focus Gear with a 0.8 gear pitch. The kit works with any camera with a lens that includes a built-in or added on focus gear with a 0.8 gear pitch. 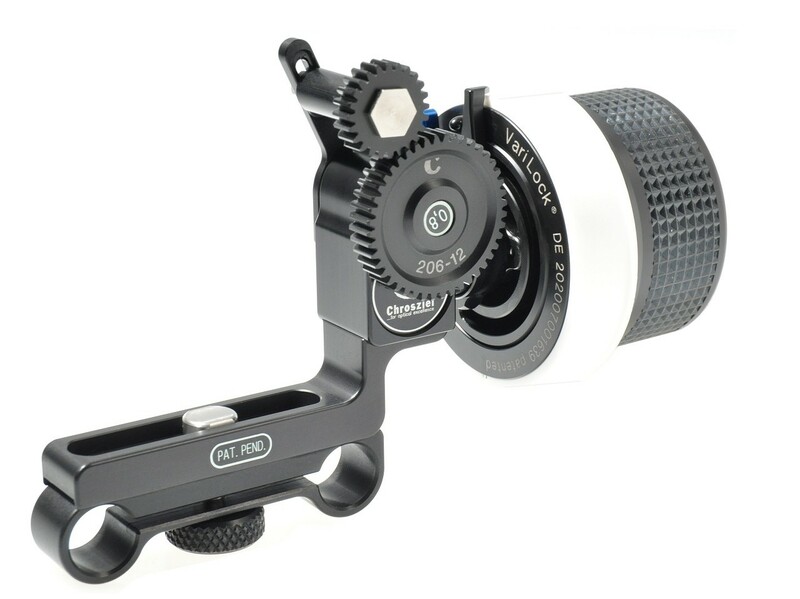 Vari-Lock is a feature that allows you to set mechanical lens end stops and is suitable for infinitely spinning lenses: with no mechanical end stop as on many prosumer video cameras and certain DSLR lenses.